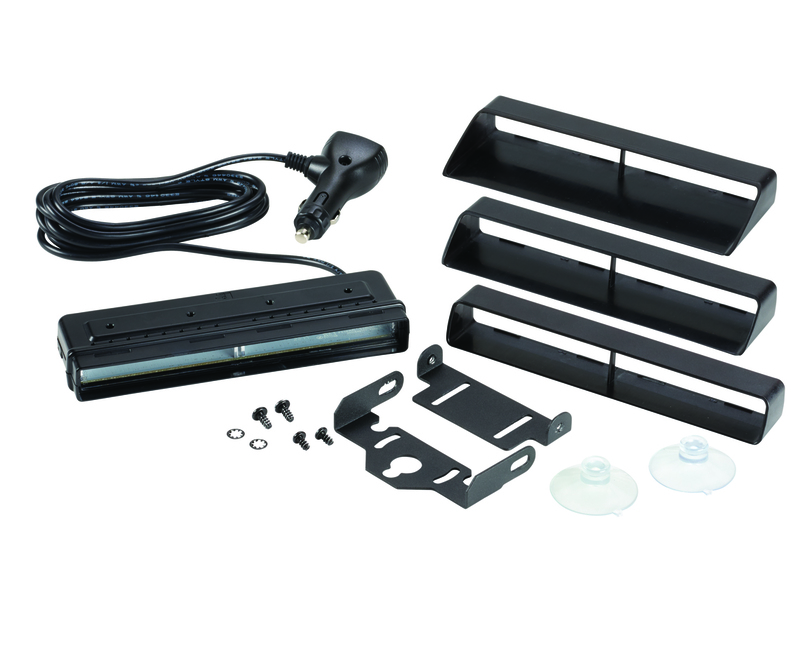 Each model includes light head, two suction cups, bail and pivot brackets, mounting hardware and three different length snap-on visors. 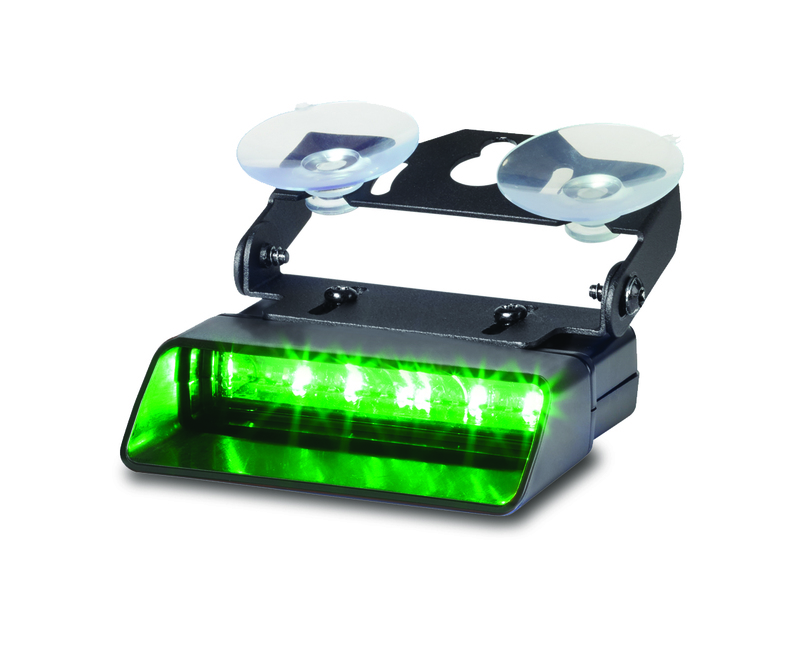 XStream™ is an interior mount LED warning light that can be installed almost anywhere inside a police car, fire commander and volunteer fire vehicle, or work truck. XStream is available in single or dual head configurations and with cigarette plug or wire leads that allow for synchronization. 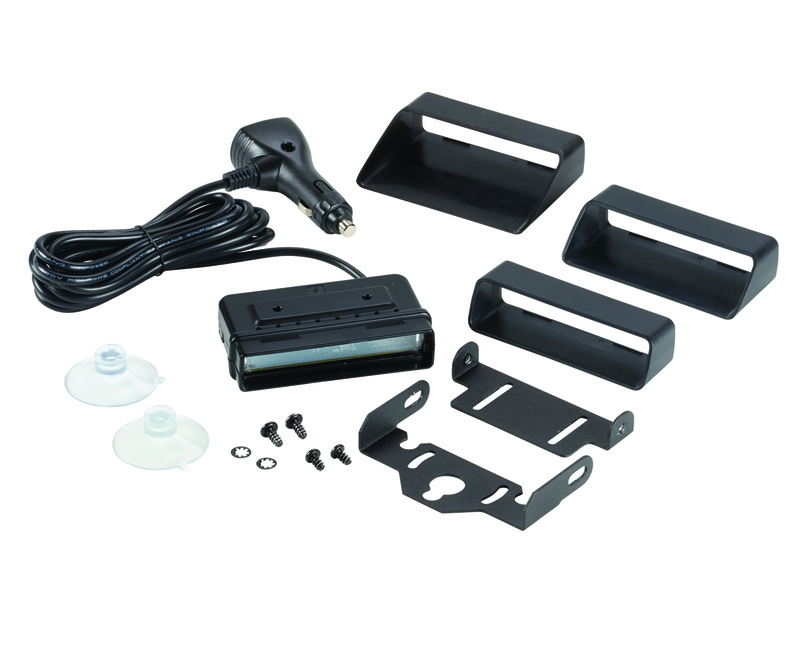 Ideal for dash/deck, headliner, and window mount applications, each model includes a light head, two suction cups, bail and pivot brackets, mounting hardware and three different length snap-on flash guards making installation quick and versatile. 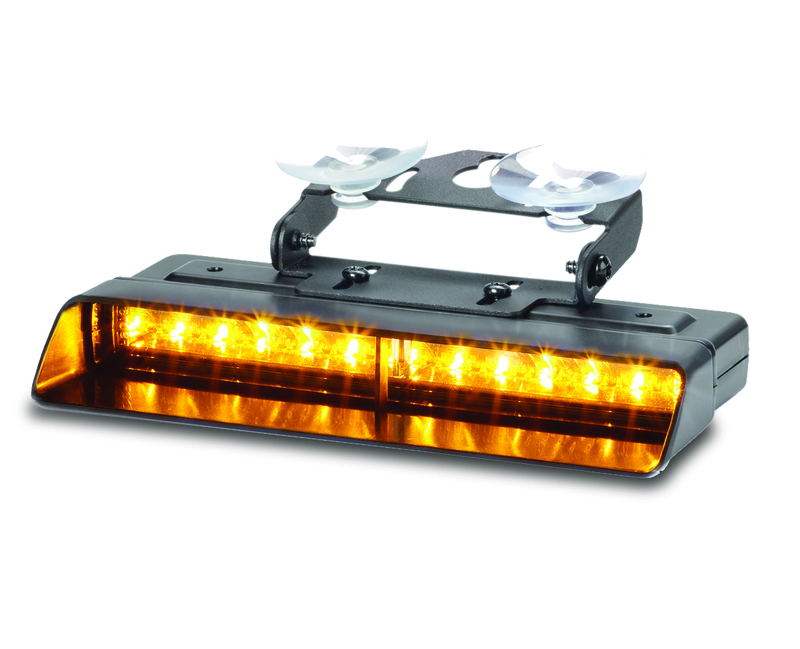 Every model is built with Federal Signal’s Solaris® LED reflector for superior optical performance. 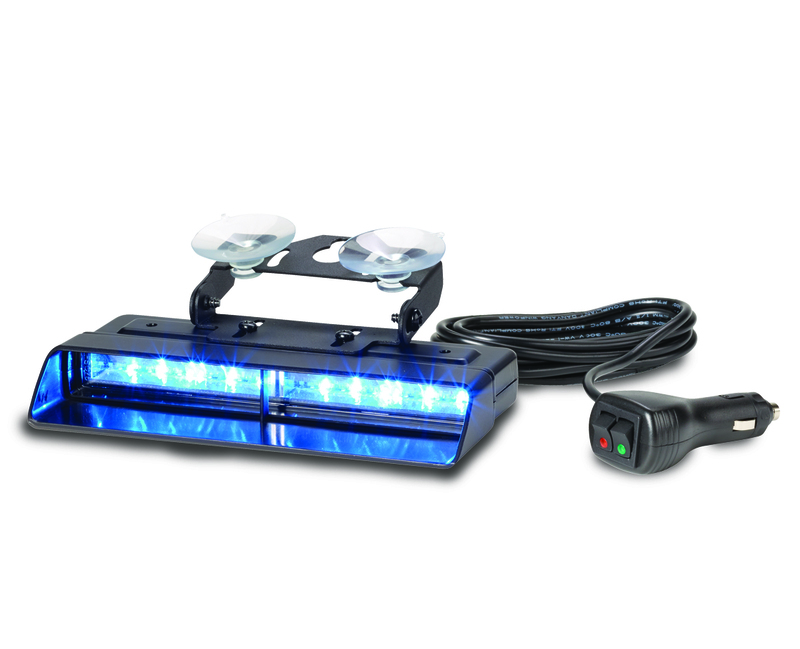 In addition, SpectraLux® multicolor LED technology provides the ability for a LED light head to change color and operate as a single, dual, or triple color light head through user-selected color modes. 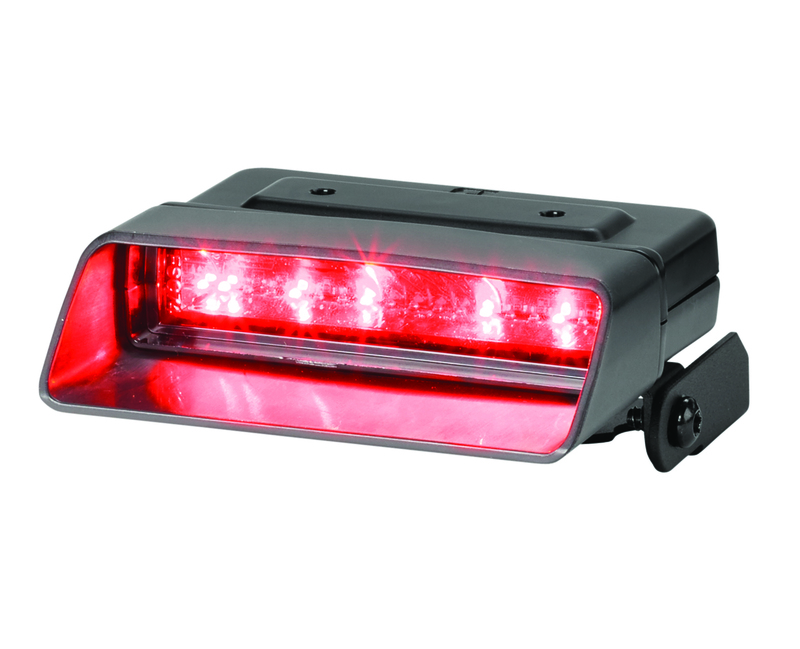 XStream warning lights come equipped with (25) flash patterns and (10) color modes. Flash patterns and color modes can be changed simply with two recessed buttons included on each model. Wired units use an advanced five wire technology that coordinates flash patterns between up to eight lights at once. Cigarette plug models are simple to transfer from vehicle to vehicle and include two switches for on/off and White steady-burn.